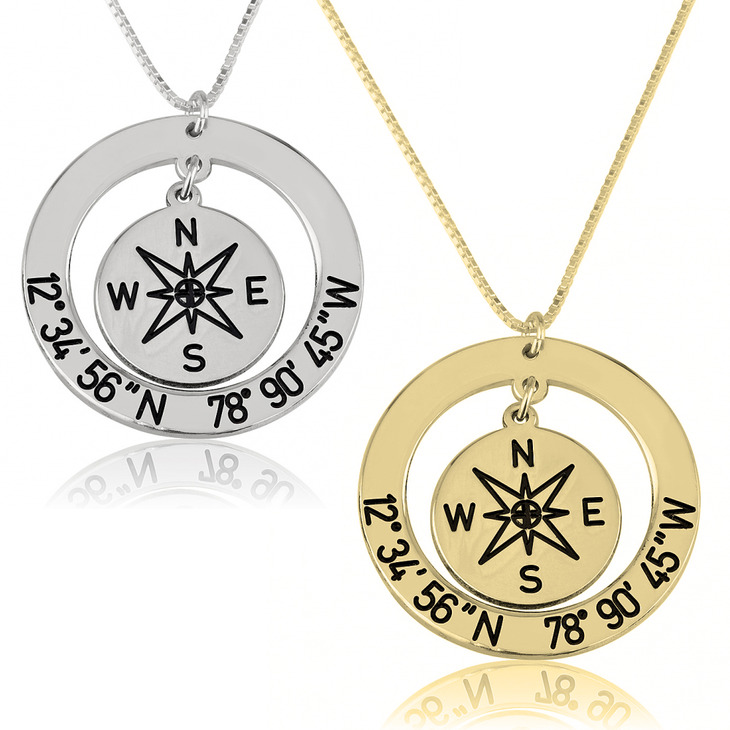 If you're the kind of girl that just loves travel and adventure, this Custom Coordinates and Compass Necklace is the perfect piece for you! Available to customise with the coordinates of your choice, this would make an amazing gift for yourself or that world traveler in your life. They're bound to cherish this unique and thoughtful piece for ever, beautifully personalised to take your unique sense of style to the next level. Order now, and save up to 40% off! 28.6mm x 28.6mm / 1.1" x 1.1"
Exactly what I was hoping for, great customer service responded very quickly to my emails and the necklace arrived on the expected time!! Will do business with you again...Thank you! !